Weekly and seasonal offerings will have you coming back to visit us year-round! For upcoming offerings, please visit the events page of our website. 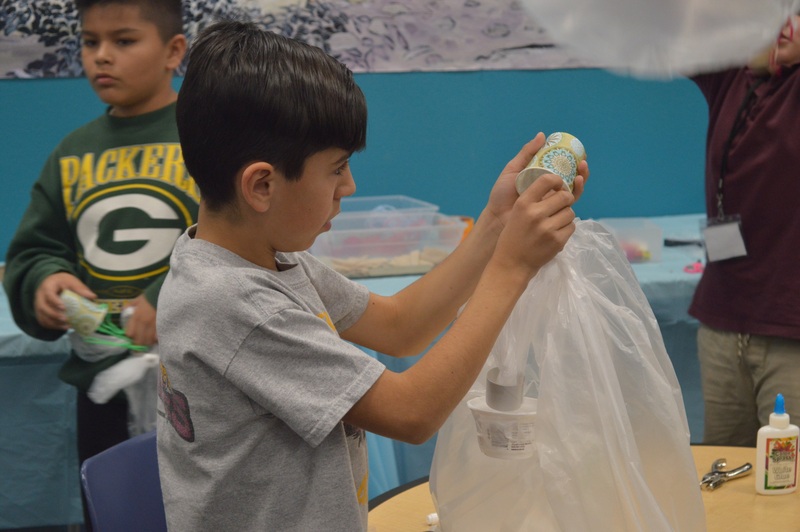 Afterschool excursions to the Balloon Museum help students discover the exciting world of lighter-than-air aviation through museum tours and hands-on activities. Click here to learn more. Join us for Stories in the Sky, a presentation of award-winning early childhood education programming featuring stories, music, movement, and art. There are different themes and activities held every week. For children up to 6 years old and adult companions. Admission: Free! Two sessions every Wednesday: 9:30 and 11:00 a.m.
Join us for Music in the Sky, a presentation of music, movement, and art. For children up to 3 years old and adult companions. Admission: Free! Two sessions every Wednesday: 12:30 and 1:30 p.m. These include Balloon Museum Pod Racing, Ballooning for All, BOO-lloon Mania, and Darth & Yoda Day, among others, as well as lectures and presentations on a variety of flight and science-related topics. For dates and times, please visit the events page of our website.